In her current role, Wilson supervises and trains the academic advisers, support staff and student employees in her unit. She also works directly with undecided and pre-engineering students, as well as those in the Electrical Engineering Technology program. 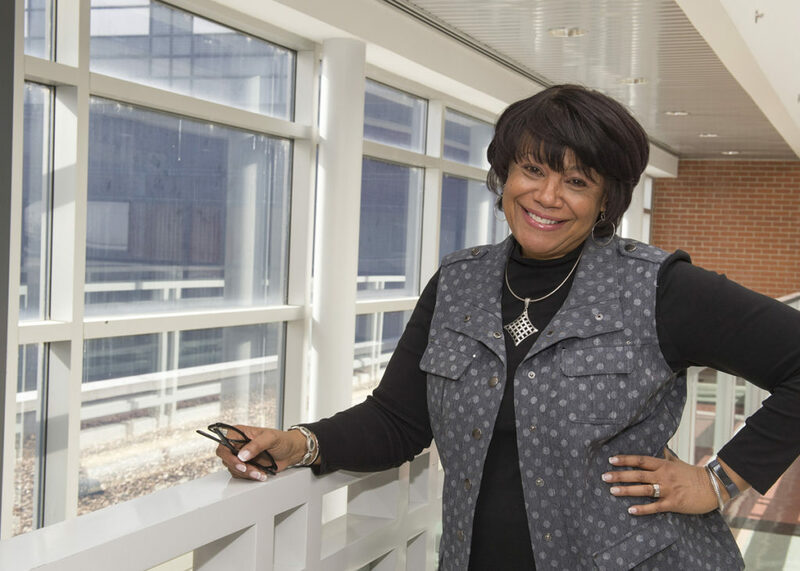 She serves on the college’s Student Support Team and assists with articulation agreements between the college and community colleges, international institutions and institutions without engineering programs. Many times, she is called upon to represent the college at special events, including New Student Orientation and Weeks of Welcome. Working with colleagues, many of whom she admires greatly, is special to her, Wilson says. The students, however, remain the center of her attention, helping them handle or resolve any issues or concerns that might interfere with their success. She also works with and reviews those students who might not meet the standard admission criteria, helping the college look at them in a more holistic way to determine whether they have what it takes to be an engineer. Wilson started with SIU in 1989 as office systems specialist in the Department of Forestry. She continued her education, earning a master’s degree in education at the university and beginning her career in Student Services soon after. In 1998, she became an academic adviser for the College of Education and Human Services, before becoming coordinator of teacher education admissions and field experiences in October of 2007. She moved to the College of Engineering in 2011. Wilson also has found time to serve the university in other ways. She served on the Chancellor’s Scholarship interview team from 2012 to 2018, as well as a graduation ceremony volunteer during that time. She’s also been involved in Saluki Startup. Outside the university, Wilson also volunteers her time at the local NAACP’s annual Martin Luther King Jr. breakfast and at Project Upward Bound. As a member of Delta Sigma Theta sorority, she helps put on programs such as Breakfast with Santa, while doing service for those living with or impacted by HIV/AIDS or domestic violence. She’s also involved in helping the American Heart Association, increasing breast cancer awareness and the mother-son dance at Carbondale elementary schools. Along the way, she has watched SIU grow and change with the times.